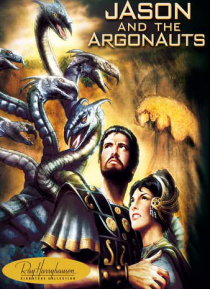 Fantastic special effects by Ray Harryhausen and exciting mythological adventure make this a film that is fun for everyone. It's the story of Jason (Todd Armstrong), a fearless sailor and explorer, who returns to the kingdom of Thessaly after a 20-year voyage to make his rightful claim to the throne. But to do so, Jason must first find the magical Golden Fleece. He selects a crew and with the help… of Hera, Queen of the Gods, sets sail in search of the Fleece. Jason and his crew must overcome incredible obstacles including a 100-foot bronze giant, the venomous Hydraa huge creature with the heads of seven snakes, and a spectacular battle with an army of skeletons.